On Sunday October 18, The BIG TEN INCH returned to action with many familiar faces and some new ones. The most prominent of the new faces was the new location, Club Hi-Fi in the East Village of Manhattan, and its affable owner Mike Stuto. The BIG TEN INCH has been looking for a new home ever since it was given the boot from the Bell House a few years ago. 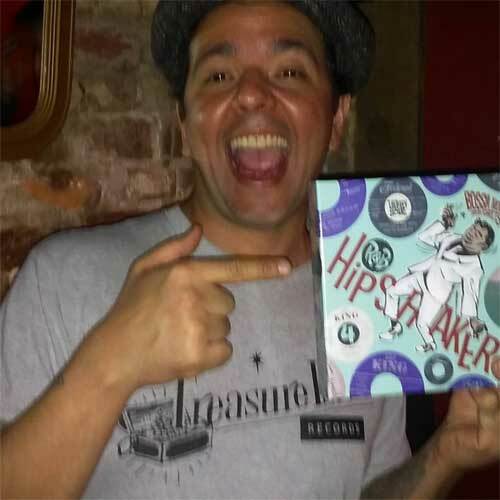 As a regular reader of the BOOGALOO BAG you certainly must remember back in May that Phast Phreddie the Boogaloo Omnibus DJed for The Mighty Fine show at Club Hi-Fi. 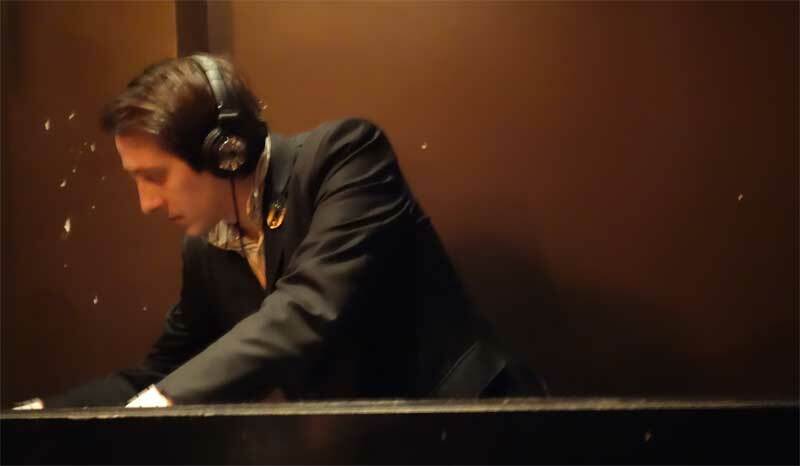 While he was there, the Phast One noted that the club utilized a pair of Audio-Technica AT-LP 120 direct drive turntables that have the capability of operating at three speeds—suitable for playing records that must rotate at 78 RPM. By the end of the summer, The Boog was able to contact Mr. Stuto and negotiate a date for The BIG TEN INCH to take place, plus the delivery of pizza! 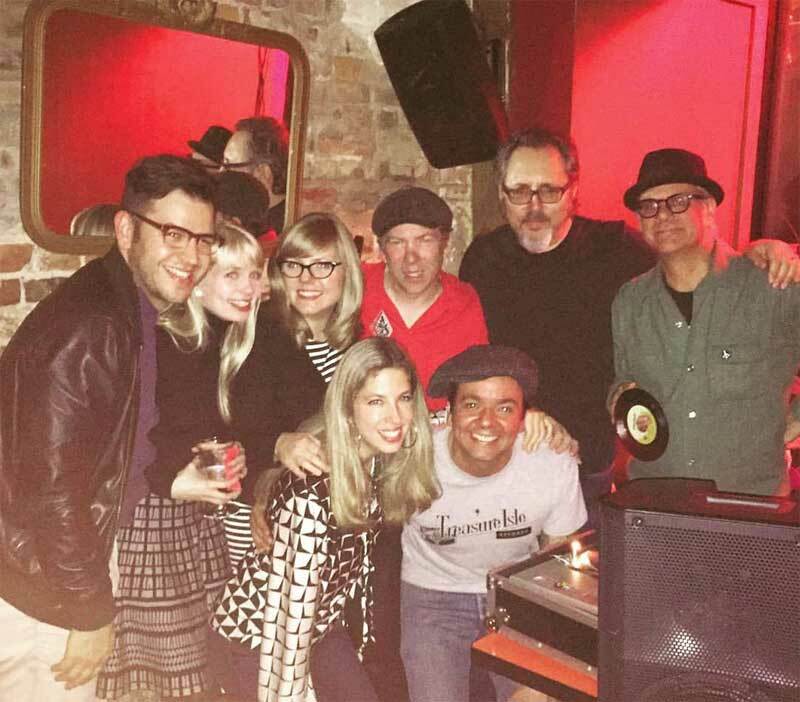 The BOOGALOO BAG is happy to report that the event was a great success, with many great records played. If you have been following the Boogaloo Omnibus exploits since the days of the Boogaloo Blog, you will already be familiar with the way The BIG TEN INCH works. 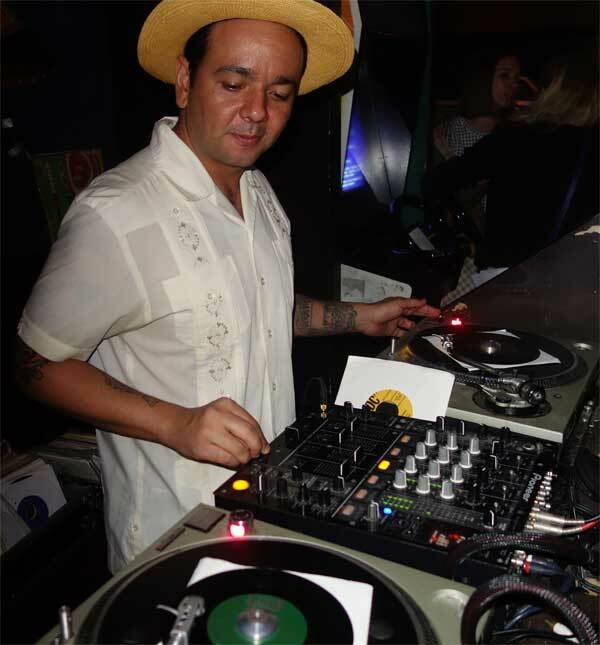 Host DJ Phast Phreddie the Boogaloo Omnibus invites his friends, friends of friends, and anyone else who may be interested, to bring a handful of 78s to play. 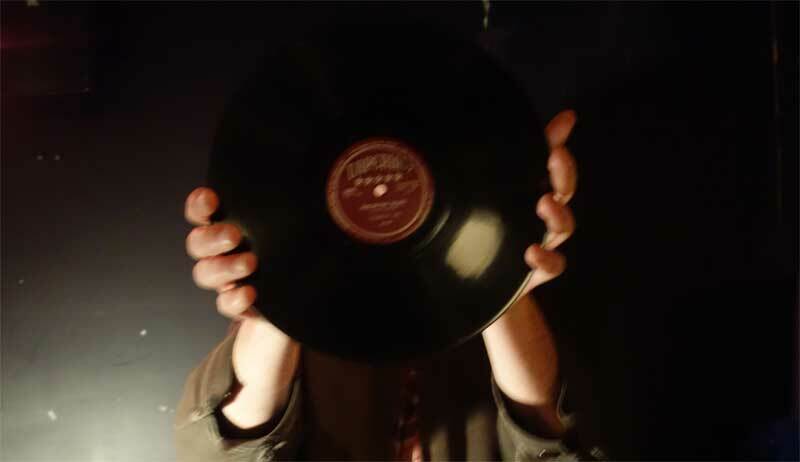 That way no one has to bring a heavy, heavy load of fragile, brittle shellac to the club—anyone who shows up with some 78s can play them. 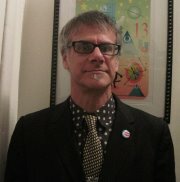 On this particular evening, a full dozen participants were involved and all got to play at least a half-dozen records. Even better: there were no reports of broken records! 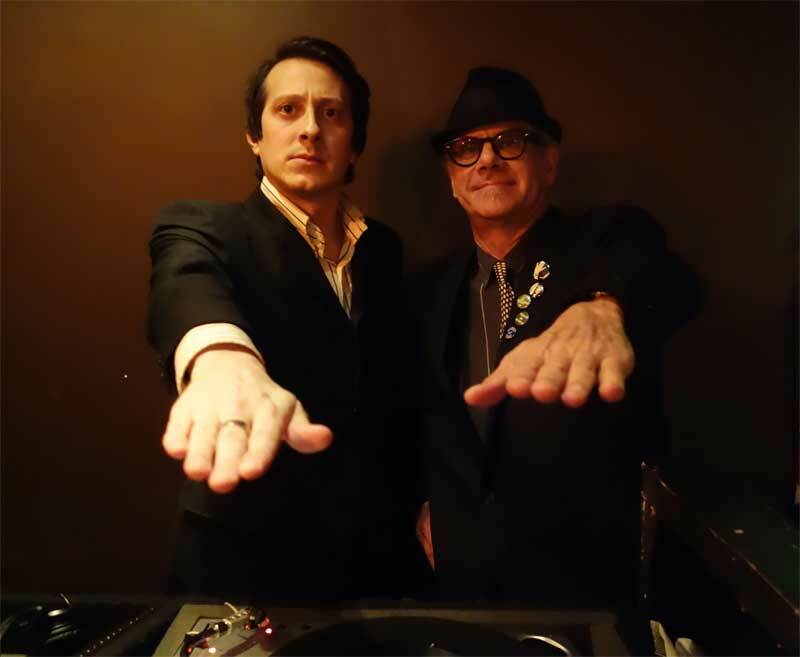 Among those who brought and played shellac discs were Alex de Laszlo, Bob Pomeroy, Jukejoint Jonny, Mr. Fine Wine, One Mint Julep, Ted Barron, Adam Lore, Andy Upsetter FC, Rich Sibello, Michael McMahon, DJ Rata and host Phast Phreddie the Boogaloo Omnibus. The club echoed with hillbilly, jump blues, rock’n’roll, mambo, big band swing and other fine sounds, including Jamaican mento. The exceptional amount of high quality ten-inch platters sounded fantastic and Club Hi-Fi jumped with five exciting hours of surface noise hiss!!! 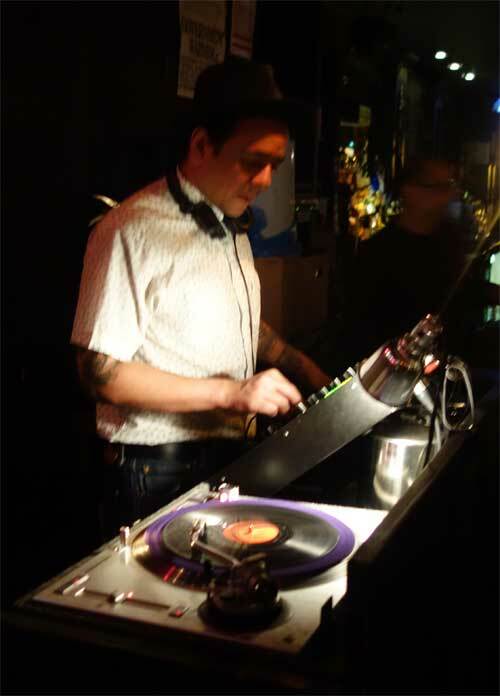 New comer DJ Rata swings at the BIG TEN INCH!